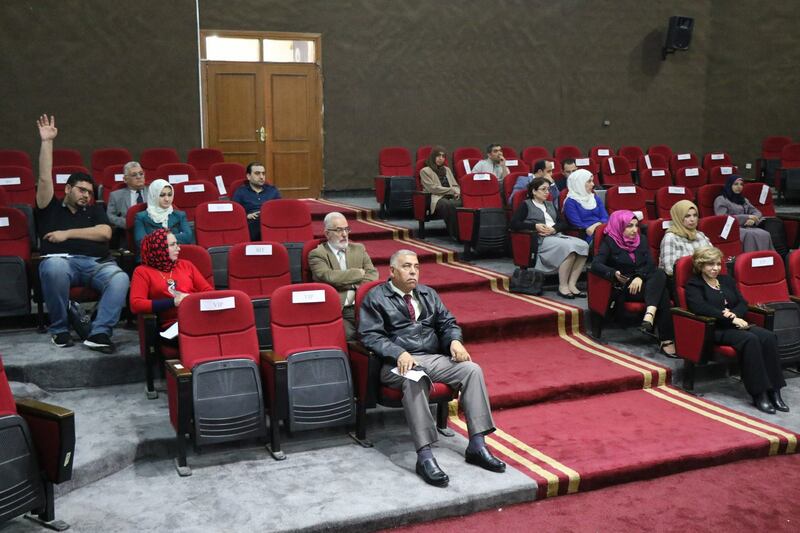 The University of Information Technology and Communications organized a workshop on filling biographical data for lecturers. 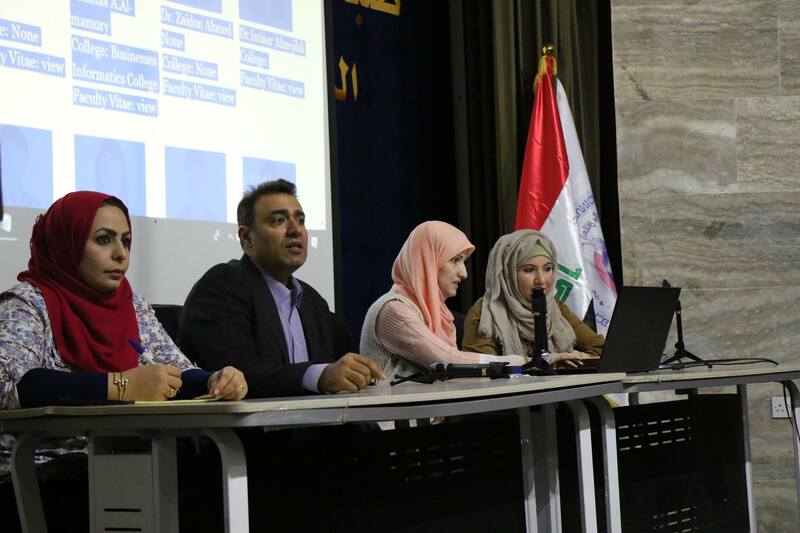 The website administrators at the UOITC organized a workshop to explain the mechanism of filling biographical data for the lecturers on the university's website. The workshop aimed at introducing the biographical curriculum for teaching staff at the UOITC. This system allows the teaching staff to edit his resume with the latest information in accordance with his scientific academic biography from research, promotions, scientific certificates and practical and accreditations according to the model of the International Accreditation Organization (ABET). The site administrators provided a detailed explanation of the software system, which was designed to be characterized by high flexibility and ease. The user can update his/her information at any time, either from the computer or mobile phone and the possibility of exporting them to PDF and printing them when needed in any forum and visitors to the site of the university to see the biographies of the lecturers and their information to be available on the Internet. The workshop also discussed the most important sections of the website and the services it provides to researchers and students as well as the media and news and events of the university.